The Grassroots-Legalize Cannabis Party is a single-issue political party in the U.S. state of Minnesota. It was created in 1986 to oppose drug prohibition. The party shares many of the political leftist values of the Green Party of the United States but with a greater emphasis on marijuana/hemp legalization issues. The Grassroots Party was established in Minnesota in 1986, by Derrick Grimmer, Tim Davis, Chris Wright and Oliver Steinberg, as an independent political party that focused on marijuana legalization. Derrick Grimmer, Ph.D., ran for Minnesota Attorney General in 1986. He received 16,394 votes. The Grassroots Party of Minnesota (GRP) ran a full slate of statewide candidates in 1990, 1992 and 1994, and won more votes than all other third parties in Minnesota combined. In 1990, Ross S. Culverhouse, a computer programmer and Vietnam veteran was the Grassroots gubernatorial candidate. Culverhouse received 17,176 votes. Will Shetterly, a science-fiction writer and actor, ran for governor of Minnesota in 1994. He placed third out of six candidates. In 2000, the party nominated David Daniels, an African American playwright/performance artist from Minneapolis, as candidate for the United States Senate. Daniels did not have a serious campaign budget and was only invited to speak at some events sponsored by Minnesota Public Radio. On election day, Daniels received 21,447 votes (0.89%). In Minnesota in 1996 the Grassroots Party split, with some of its members choosing not to attend the Grassroots Party Nominating Convention, including founding member Oliver Steinberg, forming the short-lived Independent Grassroots party. John Birrenbach was the Independent Grassroots Presidential candidate in 1996 and Dan Vacek was the Independent Grassroots candidate for US Representative (MN District 4). Shortly after, members of the Independent Grassroots Party established the Legal Marijuana Now political party, which continues to be active in cannabis law reform. In 2010, Grassroots candidate Chris Wright was on the ballot in the governor's election, signifying the possibility of the minor political party being re-organized. In 2012, Wright ran for Vice-President of the United States as a Grassroots Party candidate. In 2014, Grassroots Party of Minnesota changed its name to Grassroots-Legalize Cannabis Party. In the 2014 race for Governor, Chris Wright received 31,259 votes. The party also ran a candidate for State Auditor, in 2014, who received 55,132 votes. The Grassroots Party of Vermont formed in 1994. In 1994, Vermont Grassroots Party (VGP) ran candidates for U.S Senate, U.S. Representative, auditor of accounts, and attorney general. In 1996 VGP ran another slate of candidates including governor, lieutenant governor, U.S. representative, attorney general, auditor of accounts, state treasurer, and secretary of state. Three VGP candidates won five percent or more of the popular vote in the 1996 election, qualifying the Grassroots Party for permanent "major party" status in Vermont. In 1998 VGP ran a slate of candidates including gubernatorial candidate Joel Williams who received 3,305 votes (1.5%) and U.S. Senate candidate Bob Melamede who received 2,459 votes (1.1%). Matthew Mulligan received 3,464 votes (1.6%) for U.S. Representative; Randy Bushey got 12,312 votes (6%) for State Treasurer; Steven Saetta got 6,345 votes (3%) for Auditor of Accounts; Dennis "Denny" Lane received 8,347 votes (3.9%) for Secretary of State and Sandy "Wells" Ward got 17,954 votes (8.8%) for Attorney General. In 2000 the Vermont Grassroots Party ran a slate of candidates with Sandy "Wells" Ward leading the ticket as candidate for Attorney General, receiving 38,713 votes, or 14.7% of the popular vote. Again in 2002 the VGP fielded a full statewide ticket, and this time Teresa Bouchard led the way as candidate for State Treasurer with 10,757 votes (4.8%). In 2002 one of the state leaders, Joel Williams, became a member of the Libertarian Party of Vermont. While the VGP failed to win any elections, the party continued to nominate a slate of candidates for state office, and most of the candidates received one percent or more of the popular vote. The Grassroots Party of Vermont fielded candidates representing a mixture of liberal and libertarian views; The VGP dissolved in 2004, the membership spread out among Vermont's political scene. The Grassroots Party of California was formed in 2014 by former members of the Vermont Grassroots Party that moved to California. In 2015 the California Grassroots Party (CGP) nominated political / social sciences author Marvin Sotelo to run for the U.S. House of Representatives (California's 40th congressional district) leading the ticket as a candidate for congressman making way for the 2016 elections. The Grassroots Party will run a slate of candidates in 2016 for several offices, including governor, U.S Senate, city council, auditor of accounts, and attorney general. Jack Herer ran as the Grassroots Party candidate for U.S. President in 1988 and 1992 . In 1996 the Grassroots Party of Minnesota nominated Dennis Peron, its first presidential nominee, in the presidential election. In 2000, the Grassroots Party of Vermont nominated Denny Lane as its presidential candidate. In 2012, the Grassroots Party nominated Minnesota businessman Jim Carlson as its presidential candidate. ↑ Shetterly, Will (2008-08-08). "Will Shetterly: Biography". 1 2 3 "Minnesota Secretary of State, 2000 US Senate Election Results". 2000-11-07. ↑ "Ballot Access News, 1996 Presidential Election Results by State". November 1996. 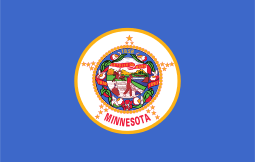 1 2 "Minnesota Secretary of State, 2014 MN Governor Election Results". 2014-11-04. ↑ KBJR-TV (June 29, 2012) "Duluth Head Shop Owner Continues Presidential Bid", MSNBC. Retrieved July 9, 2012. ↑ "Grassroots Party Nominates a Presidential Ticket", Ballot Access News. July 7, 2012. Retrieved July 9, 2012. 1 2 Bickford, Bob; Ballot Access News (1998-10-07). "1996 Presidential Votes by State".